Students of Sustainability is an annual environmental and social justice conference which brings together activists, students, educators and artists from around Australia for a week of education, culture, networking, celebration, delicious food and camping. 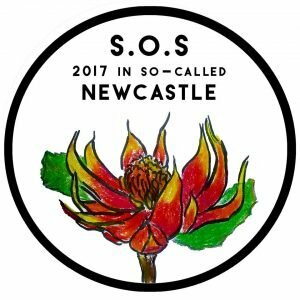 In 2017, SOS will be held in Newcastle, New South Wales on Awabakal and Worimi Country. We live in a neoliberal era of multiple crises, social upheavals and political flux. Yet the continuing confrontation between neoliberalism and its alternatives creates new possibilities for social and systemic transformation. Critical analysis of ideological divisions among today’s alternative projects/initiatives – via examining the historical, ideational, and practical roots of these differences – is important to understand past and present shortcomings and the continuing difficulties in creating coherent solutions. How do such projects construct alternative livelihood and social agency, beyond market-based individuation? To what extent do alternative initiatives engage collaboratively, and work across different approaches? The main objective of this paper is to examine how far the ‘alternatives to capital’ are being co-articulated, co-envisioned, and co-inspired, enabling cross-fertilizations, and integration. It proposes a comparative analytical framework to examine the co-evolutions and contestations between a number of case studies that are influenced by four major alternative ideologies, i.e. ‘global Keynesianism’, ‘left inter-nationalism’, ‘solidarity economy’ and the ‘ecological commons’.